Chester County, South Carolina is located within one of the fastest growing interstate corridors in the Southeast Region. Located 38 miles south of Charlotte, NC; 56 miles east of Greenville/Spartanburg, SC; and 45 miles north of Columbia, SC, Chester County offers an outstanding quality of life in an ideal location. In addition, Chester County is overflowing with history. Several historic battles and skirmishes were fought in and around Chester County making it a hotbed for Revolutionary War buffs. Battle reenactments, festivals, walking tours and historic sites are just a few of the many interesting things to experience. Chester County is truly a place where the people are friendly and everyone is welcome. In a unified proactive effort, Chester County leaders and private organizations have successfully commenced an aggressive marketing campaign to attract additional quality industrial companies to its already diversified portfolio of existing international companies located throughout the county. Quality economic development and job creation, carefully-planned growth and increased property values currently exist and are realistically anticipated to continue. Chester County School District has approximately 6,200 students and 750 employees within three attendance areas, Chester, Lewisville and Great Falls and offers modern facilities with small class sizes. Additionally, the area boasts outstanding two-year and four-year educational institutions including Winthrop University and York Technical College in nearby Rock Hill (20 minutes); the University of South Carolina-Lancaster (20 minutes); the University of South Carolina's main campus in Columbia (45 minutes); and, the University of North Carolina-Charlotte (45 minutes). The Chester County area offers a varied choice for housing, from historic homes to farms or private deed-restricted lakeside subdivisions. Ideally situated, Chester County residents have the luxury of enjoying the great outdoors and small town lifestyle while easily frequenting all of the cultural and entertainment endeavors offered by America's 20th largest city Charlotte, NC. Chester Regional Medical Center, an affiliate of Health Management Associates, is a full-service acute care hospital and long-term care center located in Chester. Emergency Medical Service and ambulance substations are located in several areas of the County. Smaller healthcare facilities and private practices are located throughout Chester County. 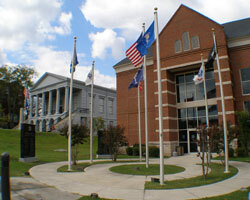 Chester County offers a wide variety of things to do and see. If you love the outdoors, then perhaps camping, fishing or hiking at Chester State Park, Woods Ferry Recreation Area or Landsford Canal State Park would be ideal. If you would rather go shopping for something unique, then visit the F. Schumacher Outlet Store, Downtown Chester specialty shops or antique shops scattered across the area. From skydiving classes, guided canoe trips down the Catawba River, golfing, Saturday evening speedway races, ATV parks and rodeos, Chester County can keep you busy unless you'd rather just sit on a front porch, sip lemonade and talk about nothing in particular and that is just fine, too!